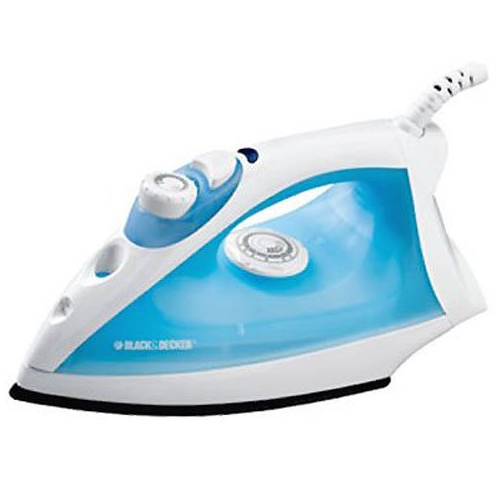 Enjoy simple and convenient ironing experience with the BLACK+DECKER Steam Iron with Nonstick Soleplate. The nonstick soleplate glides easily over all fabric types to take care of wrinkles big and small. It features a clear-view water tank to tell you when you’ll need a refill for steaming and misting. The convenient fabric guide printed on its water tank shows you the perfect heat setting for any fabric type. 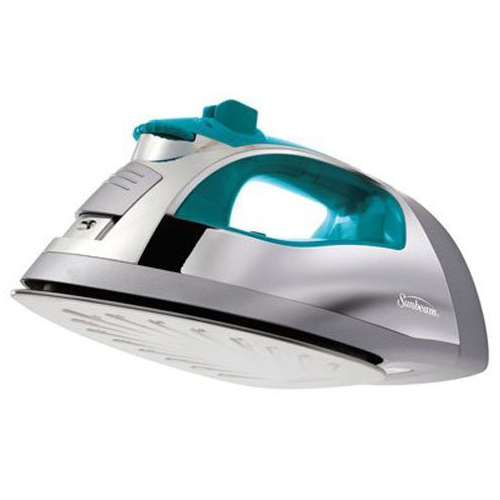 Equipped with powerful Vertical and Shot of Steam technology, the Sunbeam Turbo Steam Master Professional Iron will remove wrinkles fast while ironing flat or hanging clothes. It comes with a professional-size stainless steel soleplate that smoothly glide across a variety of fabrics. Dual Spray Mist sprays more water to remove stubborn wrinkles. The large water tank and Anti-drip system prevents water leakage at any temperature setting so no unwanted drips. 3 way motion smart Auto-Off for safety. Finally, a thoughtfully designed and reliable steam iron that will smooth out wrinkles quickly and easily. 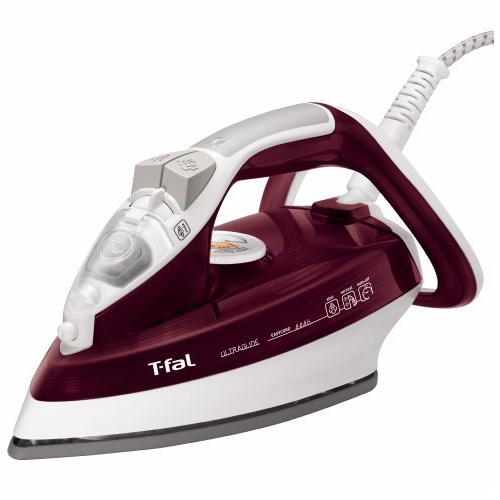 The T-fal FV4446 Ultraglide Easycord Steam Iron has ceramic soleplate for unrivaled glideability and superior scratch resistance to ensure smoother ironing and better steam coverage. The dial temperature control with three fabric settings accommodates a variety of material. Easycord exit system keeps the cord out of the way when ironing and prevents from re-wrinkling already-ironed fabrics. 3-way auto-off feature for safety and peace of mind. Iron a lot and need a lot of power and steam? 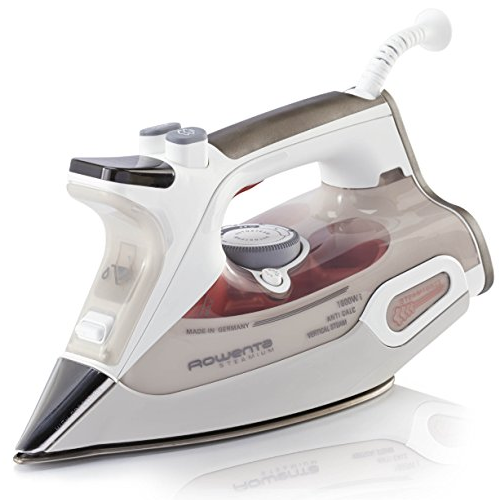 The Rowenta DW9081 Steamium 1800-Watt Electronic Steam Iron is your answer. 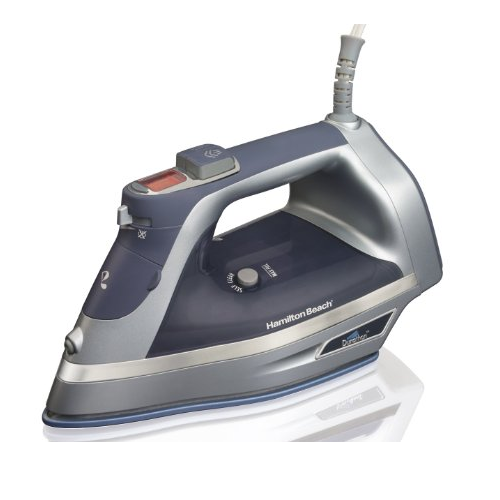 This iron uses advanced steam force technology that pushes 30-percent more steam pressure into fabric to create freshly pressed results in less time. Its 400-hole stainless-steel nonstick soleplate delivers perfect steam distribution and offers superior glide across all fabrics. Also features one touch controls, LED display, anti-drip, self-cleaning, and anti-calc systems. 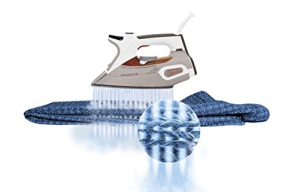 Make ironing easier with the Hamilton Beach Steam Iron. This steam iron features a nonstick soleplate that is ten times more durable than traditional nonstick and provides superior glide performance. It also features digital control panel, anti-drip, self clean, and vertical system. 3-way auto shutoff gives you safety and peace of mind. Durable, powerful and easy to use. You cannot go wrong with this steam iron.